2012-13 – WBLSports.com | The Official Site of the Western Buckeye League for wbl news, wbl scores and wbl standings. Bath grad Taylor Dackin will play soccer at Division I Bowling Green State University in Bowling Green, Ohio. Shawnee’s Casey Mulcahy will play football at Defiance College. Shawnee’s Casey Mulcahy will continue his education and play football for NCAA Division III Defiance College in Defiance, Ohio. By admin|2013-06-28T23:09:50-04:00March 15th, 2013|2012-13, College Signings/Verbals, Football, News, Shawnee Indians, WBL|Comments Off on Shawnee’s Casey Mulcahy will play football at Defiance College. Elida’s Quentin Poling signed to play football with Ohio University. Elida’s Quentin Poling signed to play football with NCAA Division I Ohio University in Athens, Ohio. Prior to Ohio: Finished his high school career with 509 tackles, 20 sacks, 12 forced fumbles and nine interceptions… Earned First Team All-Ohio in both his junior and senior seasons… Three-time All-Northwest Ohio honoree… Named Defensive Player of the Year in Northwest Ohio following his senior year… Three-time Western Buckeye League (WBL) recipient… Named the WBL Defensive Back of the Year after his senior year… Four-year letterwinner… Posted a combined record of 33-15 during his time on the varsity football team… Helped his squad to the state playoffs in each of his final three years in high school… Guided his team to a 10-4 record and a trip to the Ohio State Semifinals during his junior year… Also competed on the varsity Track and Wrestling. Personal: Born Aug. 17, 1994… Son of Kenneth and Marisha Poling… One of five children… Member of the National Honors Society… Served as his class Vice President… Enjoys Kayaking, fishing, hunting and playing basketball… Intends on majoring in Pre-Exercise Physiology. By admin|2013-06-28T23:30:56-04:00February 7th, 2013|2012-13, College Signings/Verbals, Elida Bulldogs, Football, News, WBL|Comments Off on Elida’s Quentin Poling signed to play football with Ohio University. Elida’s Anthony Sumpter signed to play football with Ohio Dominican University. Elida’s Anthony Sumpter signed to play football with NCAA Division II Ohio Dominican University in Columbus, Ohio. 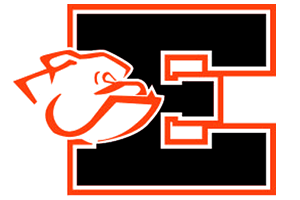 High School: Made 37 starts for Bulldogs and led Elida to first playoff berth since the 1960s as a sophomore…Earned All-WBL honors and selected Second Team All-Northwest Ohio…Honorable mention All-Ohio as junior…Also plays basketball and runs track. By admin|2013-06-28T23:29:17-04:00February 7th, 2013|2012-13, College Signings/Verbals, Elida Bulldogs, Football, News, WBL|Comments Off on Elida’s Anthony Sumpter signed to play football with Ohio Dominican University. Elida’s Dominic Painter signed to play football with Urbana University. 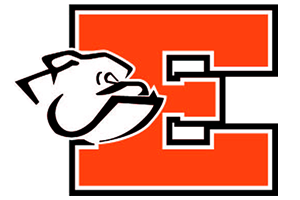 Elida’s Dominic Painter signed to play football with NCAA Division II Urbana University in Urbana, Ohio. By admin|2013-06-28T23:27:24-04:00February 7th, 2013|2012-13, College Signings/Verbals, Elida Bulldogs, Football, News, WBL|Comments Off on Elida’s Dominic Painter signed to play football with Urbana University. Bath’s Andrew Garland signed to play football with Urbana University. Bath’s Andrew Garland signed to play football with NCAA Division II Urbana University in Urbana, Ohio. Named First Team All-Western Buckeye League as a junior and senior for Coach Chris Miller at Lima Bath High School…Also picked up First Team All-District (2012), Second Team All-District (2011), and Honorable Mention All-Ohio (2012) honors…Selected to play in the North/South All-Star Game and the WBL vs. MAC All-Star Game. Son of Bill and Lauri Garland…Siblings Heidi and Haley Garland. By admin|2013-06-28T23:23:44-04:00February 7th, 2013|2012-13, Bath Wildcats, College Signings/Verbals, Football, News, WBL|Comments Off on Bath’s Andrew Garland signed to play football with Urbana University. Bath’s Connor Rockhold signed to play soccer with The University of Findlay. Bath’s Connor Rockhold signed to play soccer with NCAA Division II The University of Findlay. By admin|2013-06-28T23:20:34-04:00February 7th, 2013|2012-13, Bath Wildcats, College Signings/Verbals, News, Soccer Boys, WBL|Comments Off on Bath’s Connor Rockhold signed to play soccer with The University of Findlay. Bath’s Logan Rockhold signed to play soccer with The University of Findlay. Bath’s Logan Rockhold signed to play soccer with NCAA Division II The University of Findlay. 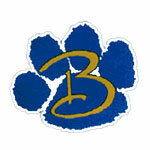 By admin|2013-06-28T23:18:16-04:00February 7th, 2013|2012-13, Bath Wildcats, College Signings/Verbals, News, Soccer Boys, WBL|Comments Off on Bath’s Logan Rockhold signed to play soccer with The University of Findlay. Van Wert’s Jared Fleming signed to run cross country and track with Kent State University. Van Wert’s Jared Fleming signed to run cross country and track with NCAA Division I Kent State University in Kent, Ohio. By admin|2013-06-28T23:39:07-04:00February 7th, 2013|2012-13, College Signings/Verbals, Cross Country Boys, News, Track Boys, Van Wert Cougars, WBL|Comments Off on Van Wert’s Jared Fleming signed to run cross country and track with Kent State University. Van Wert’s Hunter Munroe signed to play football with the University of Mount Union. Van Wert’s Hunter Munroe will continue his education and play football for NCAA Division III University of Mount Union in Alliance, Ohio. By admin|2013-06-28T23:11:28-04:00February 7th, 2013|2012-13, College Signings/Verbals, Football, News, Van Wert Cougars, WBL|Comments Off on Van Wert’s Hunter Munroe signed to play football with the University of Mount Union.